The real merit of the British infantry across the centuries has been to preserve qualities when organisations change, for change they must in a world where few things are constant. But none of this stopped me having to blink rather hard when I saw the photograph of Colonel Williams leading his troops out of the depot at Bodmin for the last time. This website will not have any new material added to it other than what you see. Webmaster estimates that during those 9 years 3000 soldiers served with the regiment, 244 are recorded in Obituary pages. This site is devoted to the history of the regiment from 1959 to 1968. The 1st Battalion The Somerset and Cornwall Light Infantry served at Osnabruck until June 1961, when it moved, by way of Plymouth to Gibraltar.It is interesting to note that as Barrymore's (13th) Foot and Fox's Marines, the two parent regiments first met (and shared the same battle honour) at Gibraltar. 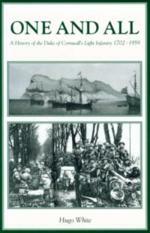 Gibraltar Day is now celebrated annually on 6th October as the Regimental Day of Somerset and Cornwall Light Infantry. The old Regimental Days of Jellalabad, Lucknow and Paardeburg are still remembered, with short histories published in Battalion Orders. 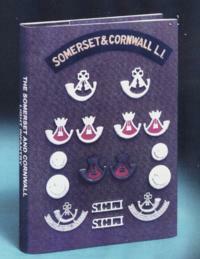 Among the distinctions brought from its parent regiments, the Somerset and Cornwall Light Infantry has the Royal Blue Facings and Royal Bugle Cords of the Somerset Light Infantry, the red patch commemorating the red feathers of the Light Company of the 46th Foot (later the 2nd Battalion the Duke of Cornwall's Light Infantry) and the privilege of wearing the sash knotted on the right side ,a unique distinction usually associated with the gallantry of the 13th Foot at Culloden.The green head-dress, whistle cord and No 1 Dress Uniform are common to all Light Infantry Regiments.The parent Regiments were raised: in 1685 as Huntingdon's Foot (now The Somerset Light Infantry), in 1702, as Fox's Marines, and in 1740 as the 57th (later renumbered 46th)(1st and 2nd Battalions The Duke of Cornwall's Light Infantry). Their names remain the names of the two Territorial Army Battalions. The 1st Battalion received Colours in May 1962 whilst stationed in Gibraltar, the Colours being presented on behalf of Her Majesty The Queen by Field Marshal The Lord Harding of Petherton. The 1st Battalion served in West Berlin, Gravesend and Aden before becoming part of the new Regiment in 1968.. 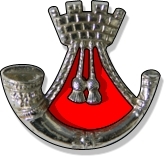 In 1968.07.10 1st Battalion, The Light Infantry redesignated upon formation of "large" regiment from Light Infantry Brigade and within a month were moved to Ballykinler in NI on a pre-planned two year tour. The 9 year regiment 1st Bn SCLI was no more. We meet at Jellalabad House, 14 Mount Street, Taunton. Meetings are now held on the last Tuesday morning each month throughout the year ( Apart from December ) at 1100hrs. LI Assoc. (Bristol Branch). We meet at the TA centre in Whiteladies Rd. Bristol on the third Thursday of every month except August and December. Mr S Rowland 01208 75392. LI Assoc. (Bath) Secretary Mr J Watson 01225 426689. Meeting 1st Friday of each month at Army Reserve Centre, Bath. LI Assoc. (Norton/Radstock) Secretary Mr R Collins JP 01749 675495. Meeting last Friday of each month at RBL Club, Midsomer Norton. All those who have served in HM Armed Forces. 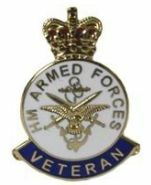 There is now a new message forum, free from those annoying pop-ups and adverts, it has been supplied due to the generous donations of SCLI & LI veterans. Copyright 2002 , 2003, 2004 and 2005- The Somerset & Cornwall Light Infantry :: Last Updated - Friday, November 23, 2018 :: Best Viewed in "1024 x 768"